Just a short walk from the town centre, yet quietly tucked away in a small, much sought-after development, a 4 bedroom, detached family home. 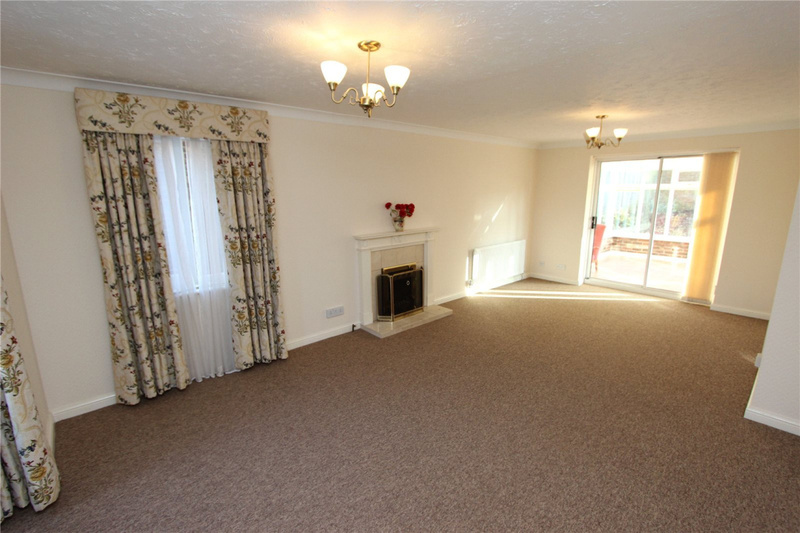 This property is being sold with the benefit of no onward chain. 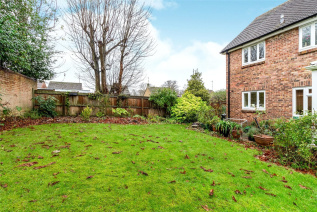 This very well maintained and beautifully presented, four bedroom, detached family home is situated in one of the most popular, sought-after residential areas of the town, just a short walk from the town centre. Situated in the corner of a small cul-de-sac, with a south facing garden, the property has the benefit of four reception rooms including a quality conservatory, well fitted kitchen, cloakroom, utility room, large master bedroom and en-suite shower room, three further bedrooms and a very well fitted bathroom. 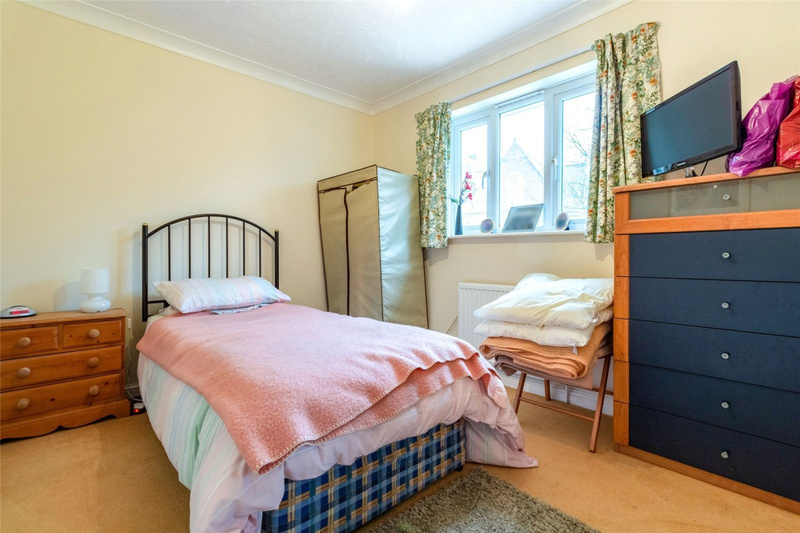 The property has gas-fired central heating, double-glazing, a double garage, and really does enjoy considerable peace and quiet. 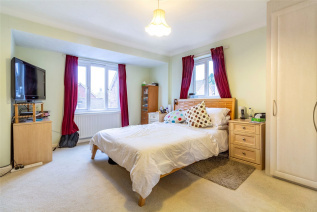 Saffron Walden is a fine old market town with a good range of shopping, schooling and recreational facilities including the new European renowned Saffron Hall for musical events etc., which is situated at the County High School. Audley End mainline station is two miles distance (with trains to Liverpool Street and Cambridge) and the M11 access point at Stump Cross. ENTRANCE HALL: Telephone point, radiator, stairs to first floor with storage cupboard under. 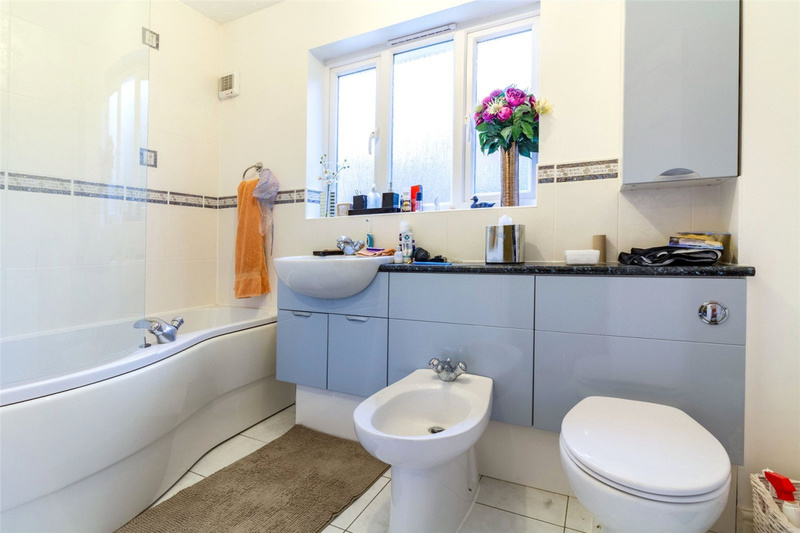 CLOAKROOM: Comprising low-level WC, washbasin and radiator. 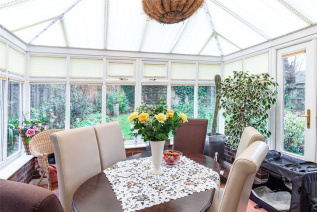 CONSERVATORY / DINING ROOM: 11'6" x 10'11" (3.5m x 3.33m). 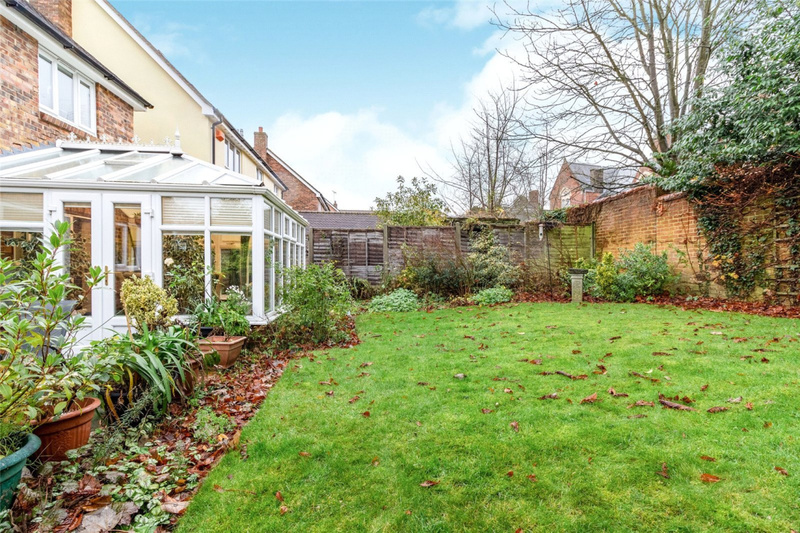 With uPVc double-glazed doors to garden, skylight, underfloor heating, radiator. DINING ROOM: 9'8" x 8'8" (2.95m x 2.64m). Radiator. Window to rear aspect. STUDY: 7'10" x 6'8" (2.39m x 2.03m). Window to side aspect. Radiator. UTILITY ROOM: 7' x 5'2" (2.13m x 1.57m). With single drainer stainless steel sink, plumbing for automatic washing machine, space for tumble dryer, replacement double-glazed door to side access, radiator, gas-fired boiler. 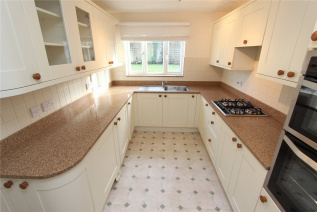 KITCHEN: 11'11" x 7'11" (3.63m x 2.41m). 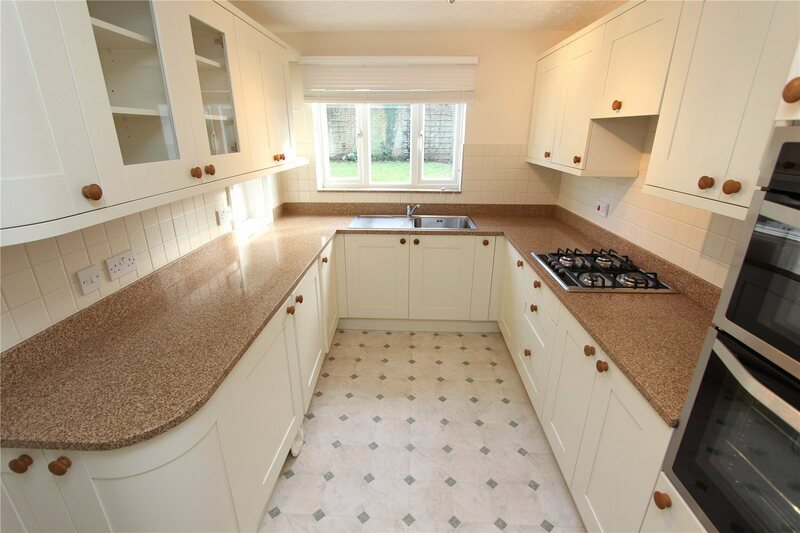 Fitted with a good range of base and eye-level units providing ample worksurfaces with tiled splashbacks, stainless steel sink and drainer, built-in double electric oven, gas hob with extractor over, integrated fridge and freezer. LANDING: Built-in airing cupboard, access to loft. BEDROOM 1: 15'4" x 12'3" (4.67m x 3.73m). 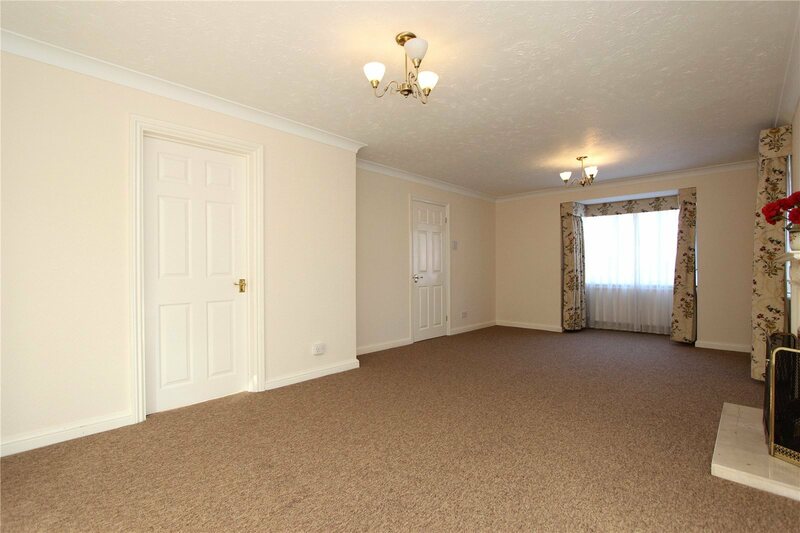 With an excellent range of fitted wardrobes and windows to two aspects. 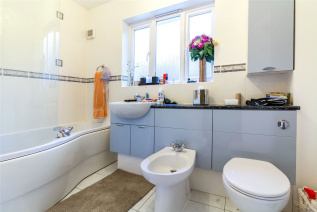 EN-SUITE SHOWER ROOM: Comprising shower cubicle, washbasin in vanity unit, low-level WC and radiator. BEDROOM 2: 10'11" x 8'9" (3.33m x 2.67m). Radiator. Window to rear aspect. BEDROOM 3: 10'3" x 8'10" (3.12m x 2.7m). Radiator. Window to side and front aspects. BEDROOM 4: 12' x 8'1" (3.66m x 2.46m). Radiator. Window to rear aspect. 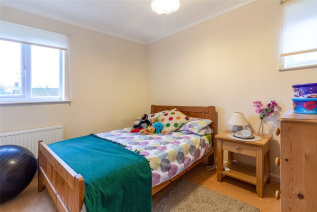 BATHROOM: Very well fitted, comprising 'P' shaped bath with shower screen and shower, bidet, low-level WC and washbasin in fitted furniture with storage, tiled floor, radiator, extractor fan. 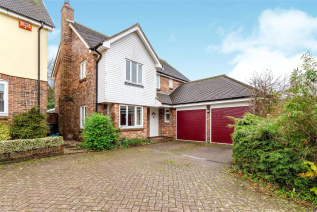 OUTSIDE: A drive gives access to the adjoining GARAGE (17'4" x 16'5") with electric roller doors, light and power, loft storage area and personnel door to the side of the property. The rear garden is a feature of the property, being almost totally private and secluded, south facing, with large patio area, dwarf retaining walls, a lawned area with flower beds, shrubs. DIRECTIONS: From the High Street, heading south, follow the road into London Road, past the Newport Road turning, heading towards Audley End, and take the next turning right into Saxon Way and right again into Beck Road. 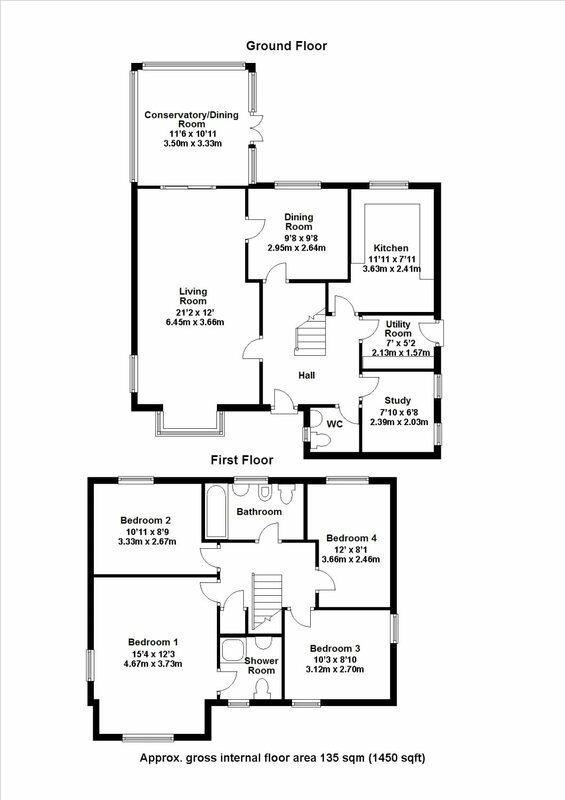 The property will be found in the top right hand corner.